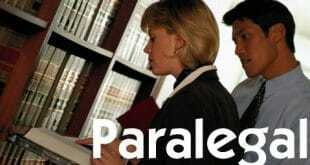 There are many paths that can lead to a paralegal career. We’ll examine four of those paths here: On-the-job training, associates degree, certification and bachelor’s degree in paralegal studies. In most states, there is no licensure requirement or certification. An individual can become a paralegal simply by receiving training directly from an attorney or another paralegal. Without some basic legal training, there could be a long learning curve to become a paralegal this way. However, there is an advantage for the attorney or law firm who trains a paralegal from scratch. The attorney won’t have to “un-train” any bad habits that the paralegal may have picked up and can teach the paralegal to do things the way she wants them done. Typical on the job training is in large part trial by fire. You should at the very least have some experience working in an office environment so that you are familiar with how to use common office equipment such as copiers and fax machines and how to write professional letters in the right format. Securing a paralegal certification can get you a job as a paralegal. However, keep in mind that getting certification will require either some experience in the legal field as a paralegal or higher education (associates or bachelor’s degree) even if in an unrelated course of study. So, certification will probably only help you to become a paralegal if you already have a degree and are looking to move into a career as a paralegal. Getting a paralegal associates degree will require an individual to get 60 credit hours in a paralegal program. Obtaining an associates degree can be done in as little as two years. These paralegal programs are offered at colleges and universities as well as online. During these programs people learn basic things such as legal research, basic law, drafting documents and general rules of ethics. One additional way to become a paralegal is to get a bachelor’s degree paralegal studies. These degrees are from traditional four-year colleges and can be obtained on campus or online. Just like with any other bachelor’s degree you will have general education requirements and specific requirements in your major, which in this case is paralegal studies. The paralegal studies curriculum will include the study of the law in some of the most general law practice areas, including juvenile law, contract law, elder law, criminal law, wills, estates, and trusts. Individuals will also learn ethics for paralegals; legal research and writing; evidence management; and civil litigation. Examine how to become a paralegal from the information above, choose the best way for you, and go for it. Becoming a paralegal is a rewarding career that will allow you to help people and make a great income while doing so. Becoming a paralegal has been made easier nowadays if you are ready to put your effort and have a commitment to work. This quality becomes essential once you become employed in this field as you would be expected to deal with different kinds of people and also with complicated legal issues. A paralegal, also known as Legal Assistant, is a knowledgeable authority dealing with various areas of law. He has the right to act as a legal notary or a representative in cases governed by laws. The only difference is that the paralegals are not allowed to give legal advice or appear in law courts, like the lawyers. 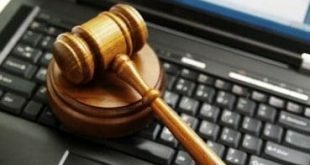 You should have adequate computer literacy for pursuing any online paralegal course because you have to make online research about the paralegal course and also be aware of legal software programs. Also make inquiry from various colleges offering paralegal degrees and certificates. Once you have made adequate research and selected a particular institution for enrollment of the online paralegal course, ensure whether the institution has ABA (American Bar Association) approval. You have to take time and visit the institution to assess their expertise on paralegal courses. You should make it a point to complete either a two-year or four-year paralegal degree program from that institution in order to enhance your employment opportunities. After completing these steps, determine the area of your legal specialization before you start your training. There is a broad range of specialties available from copyright laws, exclusive rights, corporate laws, criminal laws, and so on. Set the ultimate goal of being qualified for the NALA (National Association of Legal Assistants). Becoming qualified will help you gain an edge over others in this niche. Previous How Long Does It Take To Be A Paralegal?